A bottle of Budweiser: what is football without a cold one from the drinks sponsor? 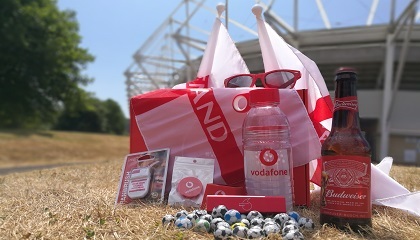 Pia Neave, Social Media and Customer Experience at Vodafone, said, “It has been great to see just how much Vodafone customers have been getting behind the England team this summer. 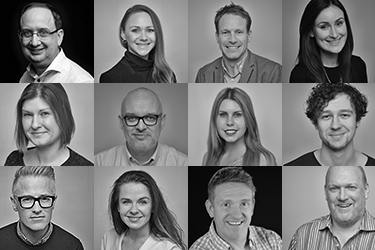 This latest box is a continuation of our events-based surprise and delight programme, Vodafone Treats and allows us to be part of people’s lives outside of just being their phone service provider. Following on from the Royal wedding and Wimbledon treats sent out only recently, these boxes help to ensure customers are ready for the moments in life that truly matter”. Boxes were sent out on the 26th of June to lucky social media users. Each box was accompanied by a handwritten note from the team at Vodafone.